I was quite happy when I learned there was a third book in the “Me Before You” series, even though the last instalment left me wanting a bit more from the storyline. I downloaded onto my Kobo and finished it in about a week. I really enjoyed the storyline overall and thought it was well put together. I do love that Lou was “still Lou” and that she stayed true to who she was throughout the whole storyline, and that she “found” herself in the end. I thought for sure that there were going to be storylines that didn’t get wrapped up, but Moyes managed to do so in a way that wasn’t too drawn out or exasperating. There were a few moments in the story though that I wasn’t too crazy about and thought were a bit over the top and cheesy, such as the horse carriage moment and the “fight” scene Lou witnessed when she first arrived in NYC. I don’t know if Moyes was setting things up for a movie script, but it all made me roll my eyes a little bit and I didn’t think it was necessary. 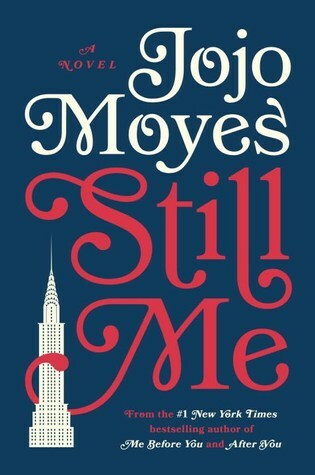 Overall, I enjoyed Still Me more than After You and thought it wrapped up the series nicely.